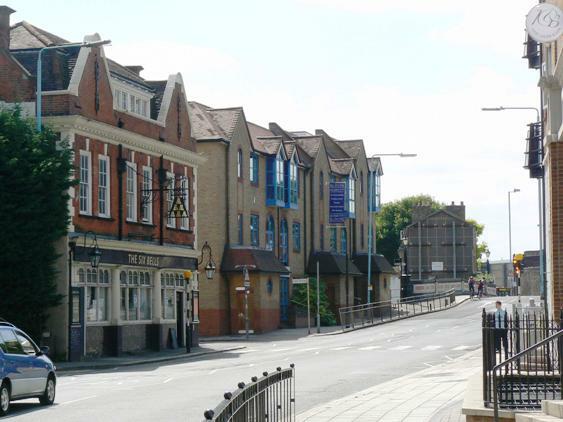 View from the north side of Brentford High Street looking across to the Six Bells pub at no.149 and westwards towards Brentford Bridge. The modern building with blue paintwork is Canal Court, built in the late 1980s. The Six Bells frontage dates from 1904 but there was a pub of this name on this site back to 1722 (B88). More about the Six Bells and occupants back to 1841.